Buying a gun in Cook County officially became more expensive this week. A new $25 tax on every gun purchased in the county took effect Monday as part of County Board President Toni Preckwinkle's plan to pay for the violence she says crowds jails and drives up health care costs. 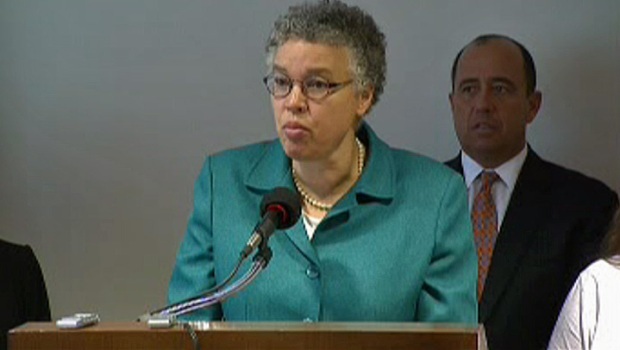 "Gun violence is a real problem for us," Preckwinkle said when she proposed the tax in October. "It's a problem for us in our criminal justice system and it's a problem for us in our health care system, and I make no apologies for the proposal." The proposed gun tax is expected to bring in an estimated $600,000 in revenue. Hike in revenue could bring in as much as $40 million in the face of a $240 million budget deficit. Charlie Wojciechowski reports. The proposal followed a violent summer in Chicago where multiple people were killed and dozens injured each weekend in shootings. The city's murder rate was up 25 percent, and the Cook County Jail was near capacity with 9,000-plus inmates. The tax applies only to guns bought outside Chicago within the county. "There are responsible gun owners in Cook County who use firearms for either protection or recreation," Preckwinkle said at the time. "However, the social and economic cost of the criminal and irresponsible use is very high. As a result, Cook County residents are paying for the negative impact of a product that only a small portion our population uses." Plans for a nickel a bullet tax dropped. Preckwinkle dropped plans for a 5-cent bullet tax she said could have raised an additional $400,000. She plans to review the tax over the next year. 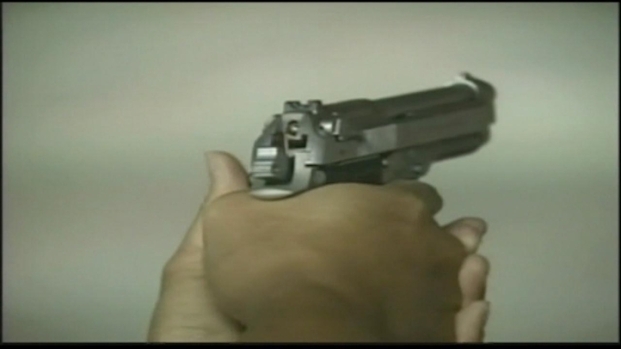 Not everyone agrees with the new tax, though, and some say it violates their right to bear arms. The Associated Press reports a group of area gun shops and owners sued last month.